It's like bikes are evolving away from the mid class, i.e Suzuki GSXR600, 750, 1000. 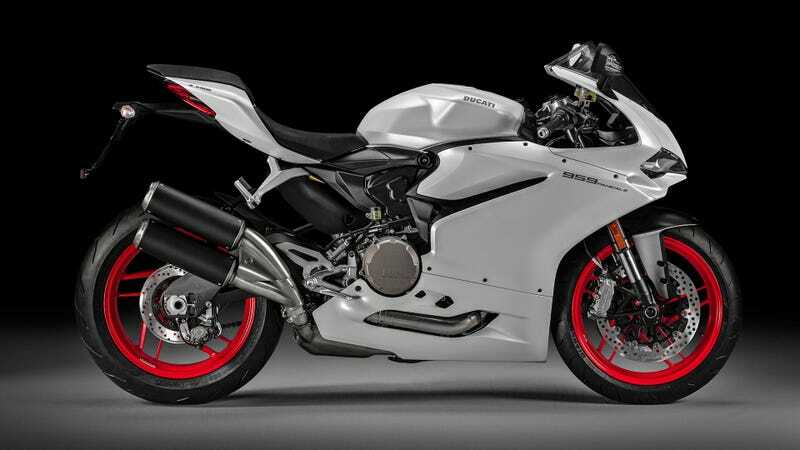 Eventually what you will have is a 190 bhp 'mid' class superbike with a hyperbike catagory up at around the 230 bhp, kind of like what they did with supercars and now hypercars...... Where do they get off? More to the point, do we get a new lesser model to fill the gap? How about the 944 on the cover in August 81, when it out performed the current Corvette? Hey guys i cant wait for the 959 - we test rode the 899 very bad bike the rear sets are so far back i felt like I was bending over getting ready for some guy to ram it up my bum hole. The 899 had no power low end or mid range it was a disappointment. We're are trying to buy the 959 for my wife she didn't like the 899 rear sets position the Ducati dealership didn't even mention the 959 to us 2 days ago when we were there trying to buy the 899. Very disapointed with their dishonesty after all we've bought 3 new Harleys and a 1299s off them in 2 years. Anyway when the 959 comes out we are going to buy it from another dealer !!! Especially considering the 899 and 1299 share rearsets. I like the specs, just cannot believe they moved away from their beautiful exhaust design. Only for Europe! We get the good lookiing one here in the states!